We recommend checking out our discussion threads on the Beseler 45V-XL Enlarger/Chassis Only 8545-02, which address similar problems with connecting and setting up Enlargers Beseler. The user manual for the Beseler 45V-XL Enlarger/Chassis Only 8545-02 provides necessary instructions for the proper use of the product Photography - Darkroom - Enlargers. The Beseler 45V-XL is the finest enlarger that Beseler has ever made. It is a solid, reliable, and functionally superb productivity tool. All operating controls are right where they should be, resulting in less wasted time and effort. If you own a Beseler enlargers and have a user manual in electronic form, you can upload it to this website using the link on the right side of the screen. All of which can be installed either directly or via appropriate adapters. Specialties Wall/Table Mount Kit to attach 45V chassis to wall for extra large printing, or over a table for applications where a baseboard is not required. Also includes upper column support bracket to secure to wall for maximum system rigidity. Requires user installation. Lens Mounting System Single, 39mm (Leica thread)lens mounts require lensboard (No.8021)(requires jam nut) or (No.8086)(contains mounting flange). most enlarging lenses are equipped with a 39mm (Leica) mounting thread which will screw directly in to the three openings on the turret lensplate. An expanded list of specific lens mounts is available for both systems. NOTE: Please call store to confirm which lensboard or spacer is required for your system. Box Dimensions (LxWxH) 60.0 x 32.0 x 16.0"
The user manual for the Beseler 45V-XL Enlarger/Chassis Only 8545-02 can be downloaded in .pdf format if it did not come with your new enlargers, although the seller is required to supply one. It is also quite common that customers throw out the user manual with the box, or put the CD away somewhere and then can’t find it. That’s why we and other Beseler users keep a unique electronic library for Beseler enlargerss, where you can use our link to download the user manual for the Beseler 45V-XL Enlarger/Chassis Only 8545-02. The user manual lists all of the functions of the Beseler 45V-XL Enlarger/Chassis Only 8545-02, all the basic and advanced features and tells you how to use the enlargers. The manual also provides troubleshooting for common problems. Even greater detail is provided by the service manual, which is not typically shipped with the product, but which can often be downloaded from Beseler service. If you want to help expand our database, you can upload a link to this website to download a user manual or service manual, ideally in .pdf format. 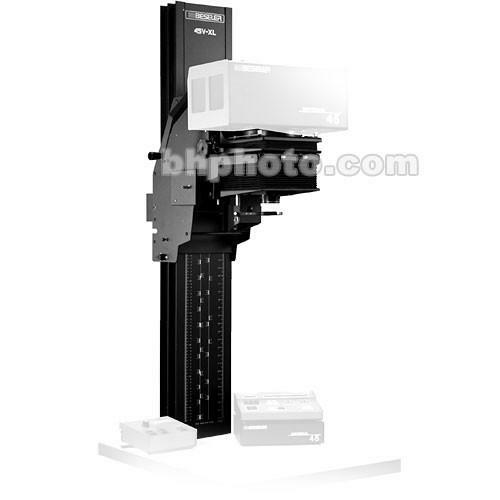 These pages are created by you – users of the Beseler 45V-XL Enlarger/Chassis Only 8545-02. User manuals are also available on the Beseler website under Photography - Darkroom - Enlargers.